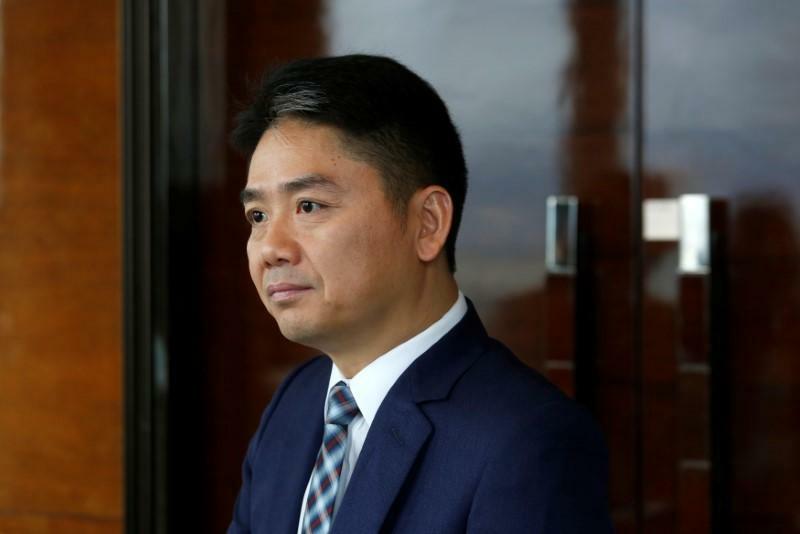 BEIJING/SHANGHAI (Reuters) - Richard Liu, founder and chief executive of JD.com, has kept tight control of the business as he takes aim at the likes of Amazon.com, but faces a battle on a new front after being arrested in the United States following an accusation of sexual misconduct. But the case is likely to put pressure on Liu, who has a reputation for a luxurious lifestyle but insists on a "clean" company, cracking down on counterfeit goods and corruption. "I think there is a feeling in the company that we are morally superior to Alibaba," a company insider said, adding that Liu was "aggressive" but "generally very well liked." Liu started the company that would become JD.com in 1998,spending 12,000 yuan ($1,760.54) of his savings to lease a 4-square-metre retail space in Beijing's technology hub of Zhongguancun. The firm, also known as "Jingdong," got its name from a combination of part of Liu's Chinese first name, Qiangdong, and that of his girlfriend at the time, Xiaojing. That proved key to JD.com's rise, culminating in its listing in the United States in 2014. JD.com is now China's second-largest e-commerce player behind Alibaba, and Liu's net worth is $7.9 billion, according to Forbes. A second JD.com insider said Liu was "lively" and highly motivated by competition. The person, who asked not to be named because of the risks of speaking publicly, added that Liu travelled a lot and his lifestyle was seen as "very luxurious" to staff. A China-based venture capital manager who has dealt directly with Liu said that "there was nothing in his business dealings that would cause concern" but that Liu had "a high-profile private life." JD.com, backed by Walmart Inc, Alphabet Inc's Google, and China's Tencent Holdings, did not respond to requests for comment on Liu. Liu could not immediately be reached. The arrest does underscores a potential fault line in JD.com's corporate governance. Liu owns a 16 percent stake in the company but controls 80 percent of the board vote, leaving investors with little say. Liu has long fostered a reputation for good behaviour, playing up JD.com's tough stance on counterfeits. He has also said he enjoys hard work and dislikes relaxing too much, often working 16-hour days. He has a sociology degree from Beijing's prestigious Renmin University and is a delegate to the Chinese People's Political Consultative Conference (CPPCC), an important advisory body to the government. Liu said in January at the World Economic Forum in Davos that he enjoys swimming, fast walks and trips into China's deserts. Once a year he dons a JD.com uniform and delivers packages himself. "For my parents I want to be a good son, for my wife a good husband and for my daughter I want to be a good father," he said at Davos. "I hope that one day when I retire that my workers will all be able to say 'He was a good guy'."